Something Naughty & Something Nice - Christmas Gift is rated 4.8 out of 5 by 16. This beautiful Christmas arrangement offers the perfect something for everyone! In two beautiful gift boxes, your recipient will discover beautiful arrangements of delicious snacks, both delicious and indulgent. Complete with sinful handcrafted chocolates, extra-fancy dried fruits, and an assortment of premium nuts, this exquisite arrangement makes the perfect gift this holiday season! 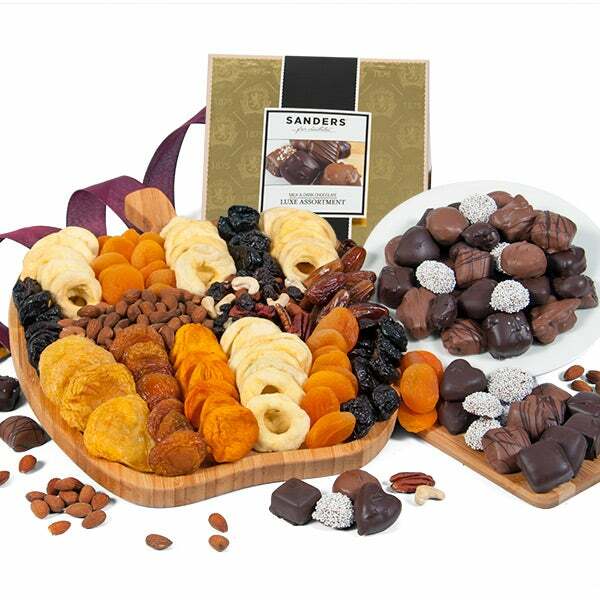 Dried Fruit & Nut Platter - 30 oz. 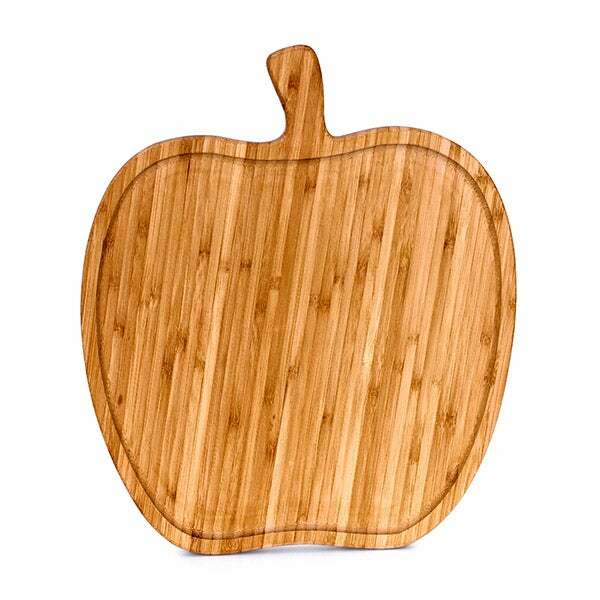 - This beautiful gift box boasts a selection of exotic dried fruits and roasted nuts that are hand assembled in an elegant wooden apple shaped gift tray. 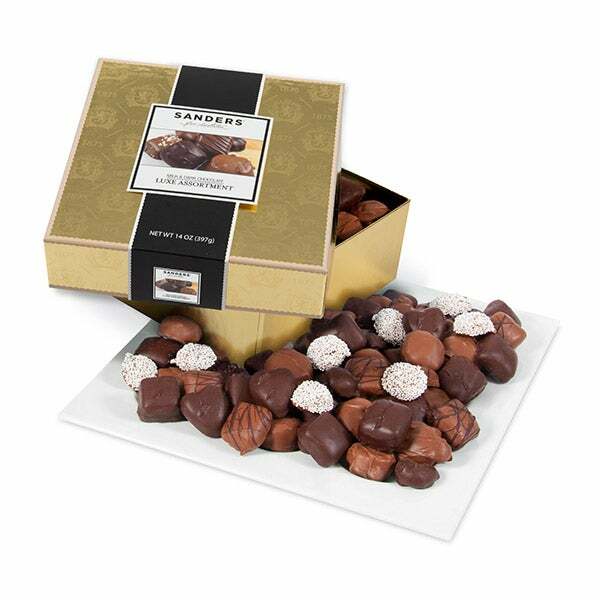 Boulevard Collection - Milk & Dark Luxe Chocolate Assortment by Sanders - 14 oz. - Exquisite chocolates with a variety of premium fillings, such as nuts, caramel, and toffee that are handcrafted by skilled artisans.